Cute Paddy (Paddy Bond) has just arrived to Sanson GAP kennels and is up for adoption. 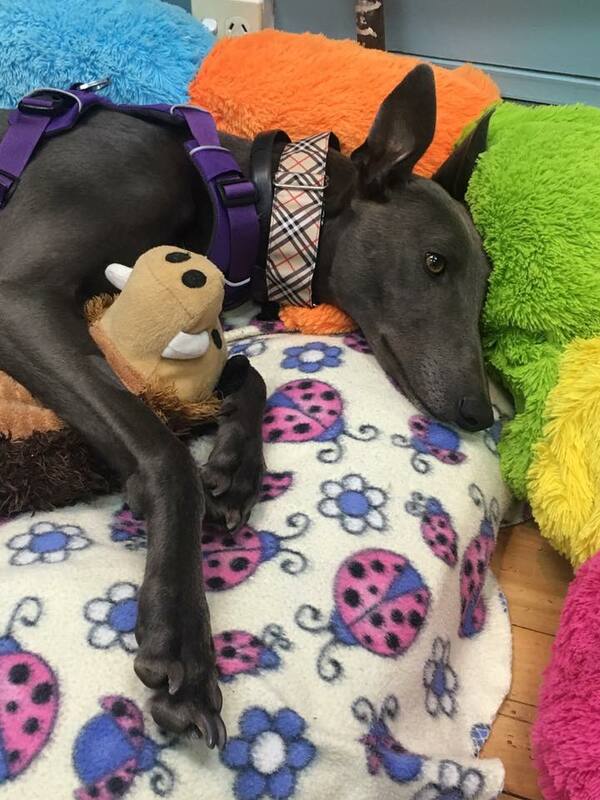 Isn't he lovely? 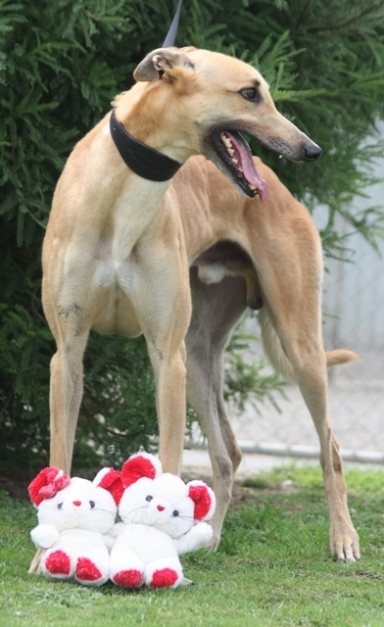 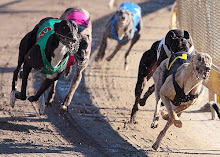 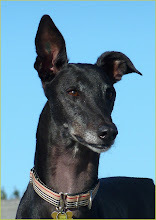 He is a fawn color greyhound, who was a very accomplished racer: he has earned almost $30,000 over 67 starts (he was trained by Angela and Hayden Udy).